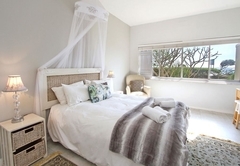 Edward Court One Bed Sea Unit is a property providing self catering in Mouille Point for up to 2 guests visiting the Atlantic Seaboard region. 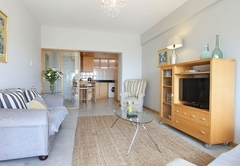 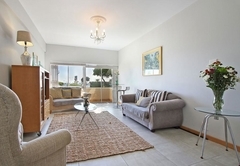 Edward Court One Bed Sea Unit is a large self catering holiday apartment found on Beach Road in Mouille Point. 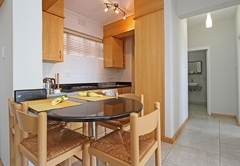 From here you can easily walk to the V&A Waterfront where you will find a vast range of restaurants, bars, shops and more as well as being close to the city centre and major transport routes so you can easily visit the many attractions Cape Town has to offer. 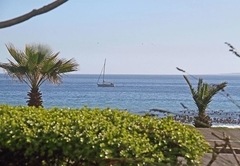 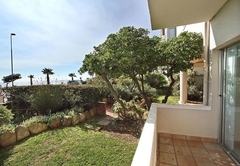 The large one bedroom apartment is on the ground level of a secure complex facing the ocean. 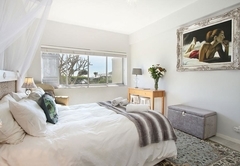 The bedroom sleeps two guests and has a queen size bed. 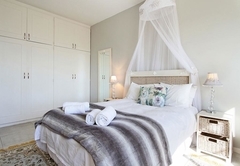 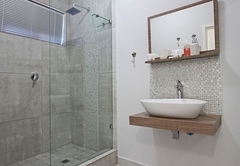 There is a bathroom with a bath and all linen and towels are provided during your stay. 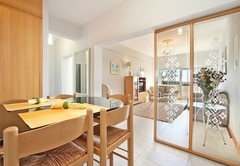 The kitchen is open plan and has a breakfast bar with bar stools where you can sit and enjoy your home prepared meals. 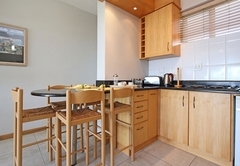 The kitchen comes equipped with a stove / oven, microwave, fridge / freezer, washing machine, tumble dryer, other appliances, crockery, cookware and cutlery. 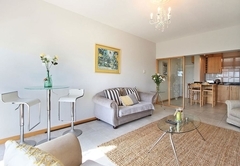 The lounge has comfortable seating and offers a TV with DStv. 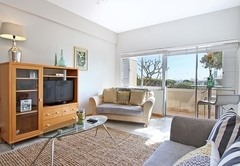 The apartment is equipped with a private balcony and has access to the garden terrace. 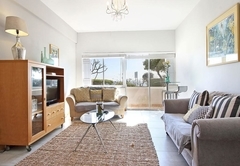 Large 1 bedroom self-catering apartment that accommodate 2 adults and 2 kids, situated on the ground floor in a secure complex on the oceanfront on Beach Road in Mouille Point, with stunning sea views. 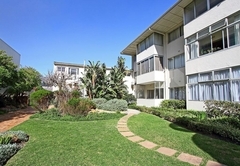 Response timeEdward Court One Bed Sea Unit typically responds to requests in 5-10 minutes.